In a bittersweet victory for educators seeking edits to the state's proposed A-F system for grading Texas public schools and districts, the House Public Education Committee voted 11-0 Tuesday in favor of a bill that would drastically change the system. 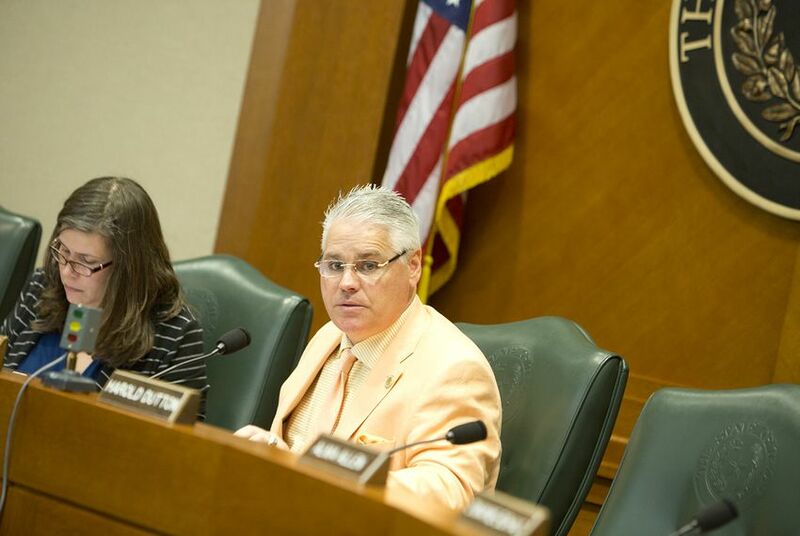 The committee’s chairman, Dan Huberty, R-Houston, said House Bill 22 would help persuade more superintendents and teachers to support the accountability system, which is currently slated for implementation in 2018. The bill reduces the number of categories in which schools and districts get A-F grades, and it includes factors other than standardized tests into the final grades. Educators would rather the A-F system go away, but they have been receptive to the proposed changes. Legislators in 2015 approved an accountability system that would award schools and districts letter grades between A and F, to replace the current pass/fail system. State officials argued it would allow parents and communities to understand how their schools were doing. Educators disagreed that the move to a graded system would actually help schools. The original proposal for a rating system would grade schools and districts in five categories: student performance on the State of Texas Assessments of Academic Readiness (STAAR) exam, student progress on STAAR, closing the achievement gap, college and career readiness, and community engagement. HB 22 would cut back that number to three: student achievement, student progress and school climate. It would also allow districts to use locally selected exams, instead of the STAAR exam, to determine their grade. It would require the state to give schools and districts three separate grades, but not one overall grade. Alief ISD Superintendent HD Chambers helped Huberty write HB 22 to address educators’ concerns that the A-F rating system was too dependent on state test scores, and excluded important non-academic factors such as whether a school offers fine arts courses or extracurricular activities. He warned legislators Tuesday that educators would not respond well if the changes did not go through. “If you don’t have something like this passed, it’s going to be ugly,” he said. Supporters of the A-F rating system said Tuesday that the changes are unnecessary and dilute the impact of school accountability. "As written, this bill fails to appropriately hold schools accountable for the performance of our most vulnerable students, shortchanges objective student achievement measures in favor of easily manipulated subjective measures, and ultimately dilutes the meaning of school ratings," said Courtney Boswell, director of policy organization Texas Aspires, in a statement. Educators were especially angry when Texas Education Agency Commissioner Mike Morath, under direction from legislators, released a preliminary set of grades in January, showing how schools and districts would have fared if the system were already in place. Hundreds of school boards passed resolutions calling for the A-F system to be repealed. HB 22 would delay the implementation of the rating system from 2018 to 2019, and require the Texas Education Agency to show educators two preliminary reports with unofficial grades.